Red is the color thousands of eastern Washington teachers have been wearing this summer as their union negotiators bargained for pay raises. Teachers in a few western Washington school districts remain on strike as they negotiate with administrators over pay raises funded with new money from the state. The Tacoma and Battle Ground Districts today [Monday] asked state arbitrators to help with negotiations. 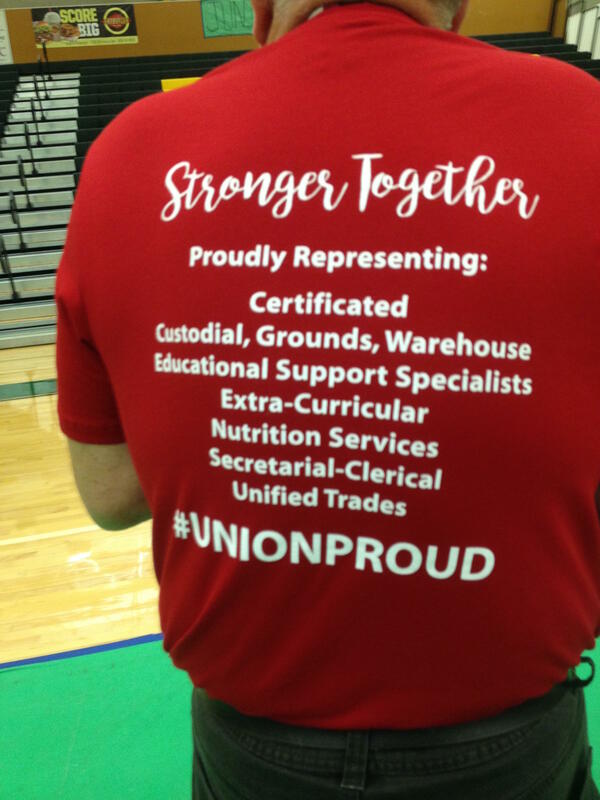 In eastern Washington, there are no strikes, but several districts are still at the bargaining table. They include the Wellpinit district on the Spokane Indian Reservation, which had another round of talks scheduled this afternoon. Music teacher Shawn Brehm is part of the teachers’ negotiating team. He says his group is trying to find creative ways to keep veteran teachers in the Wellpinit district. “Half of our teaching staff lives in the city of Spokane and if we don’t offer something that is competitive, we’re going to lose a lot of our teachers," Brehm said. Brehm says there’s an almost $20,000 gap between Spokane will pay its veteran teachers under a new contract, versus what he says Wellpinit administrators are offering to the same types of teachers. "They wouldn’t have to drive two hours out to the reservation to teach on our reservation and they could stay a lot closer to home and make a lot more money and that’s the last thing that we want,” he said. The legislature has added nearly $2 billion in new funding for public education. In the process, it eliminated the existing state salary schedule for teachers, which has forced districts to develop their own wage scales. Brehm believes that has complicated negotiations all around the state and unnecessarily put districts and teachers in adversarial situations.